You’ve always thought about having a carpet installed in your home. But you have always put that plan on hold, imagining what your kids and pets would do to the carpet. For a lot of residents of Mansfield, carpet plus kids and pets may seem like an unlikely combination. For most people, it’s an either/or case. As such, these people miss out on the benefits of having a home carpeted including comfort, insulation, safety and aesthetics. And when you are investing money, the last thing that you’d want is for your home’s carpet to be ruined (intentionally or unintentionally) by a mischievous child or pet. Before you dash your hopes about getting your home carpeted, know that it is still possible to have carpets installed in your home, even if you have kids and pets around. The key here is choosing a carpet that is kid- and pet-friendly. 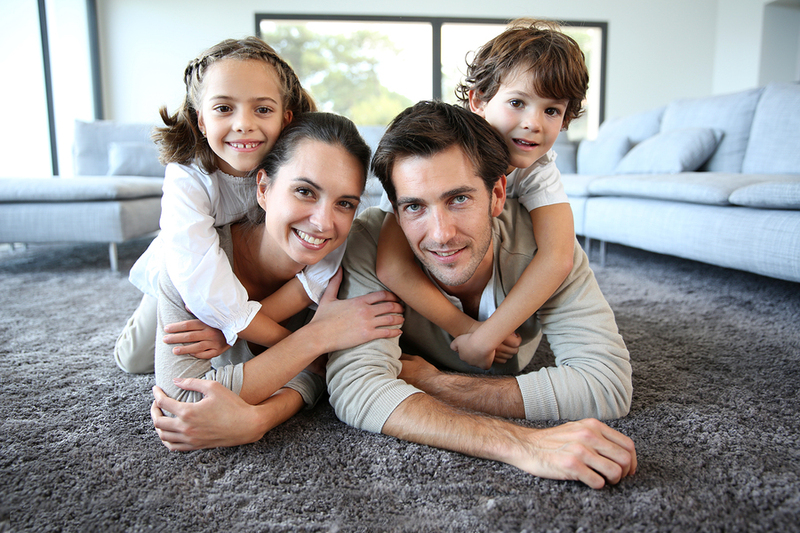 Here are some important factors to consider when you are in the market for a carpet. If you have kids, pets or both in your home, it is crucial for you to find a carpet made with stain-resistant materials. Such carpets are specially made to resist dirt and liquids. If you have the budget, your number one option would be a carpet made with wool. Wool is both durable and resistant to stains. You can also opt for carpets made with nylon that have been specially treated to be stain-resistant. The downside of this type of carpet is that you have to be careful about the cleaning agents you use as the coating can erode quickly. If the area where the carpet will be installed has a high volume of traffic like the living room, kitchen or hallway, opt for a carpet that is stain-resistant. No matter what colour or design you choose for your carpet, you have to make sure that you get a carpet which has fibres that spring back into place automatically and avoid carpets with fibres that have a flagpole-shaped design. Specifically, opt for carpets which have spring-shaped fibres as these can resist matting better and bounce back into shape even after you walk on these or after your pet sleeps on these. Choosing a soft carpet will enable you and your little ones (both two- and four-legged) to maximise your enjoyment of your new flooring. The key here is to choose a carpet which has natural stain resistance. Carpets made with materials that have been chemically treated to be stain-resistant can leave residue which may be sticky or rough. If you must buy a high-maintenance carpet, use it in a room with minimal foot traffic or areas where your children or pets cannot enter. Otherwise, be prepared to spend a massive amount of money toward cleaning and maintenance.